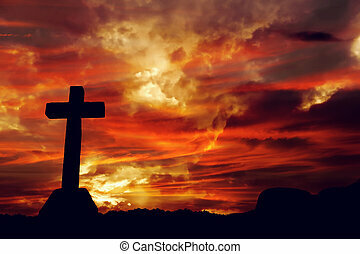 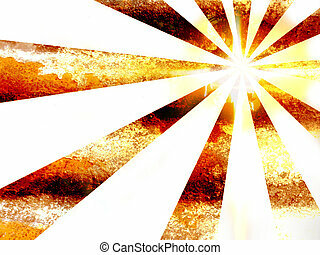 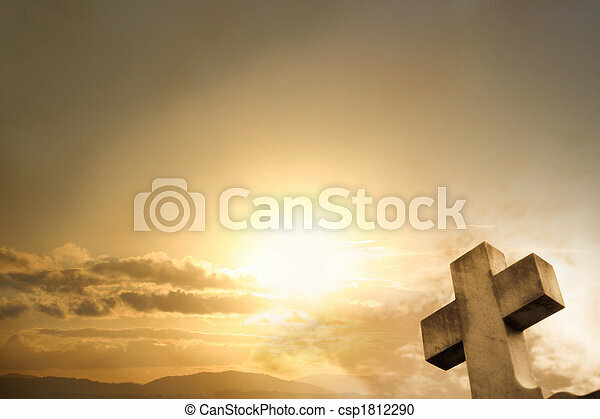 Cross sunset background. 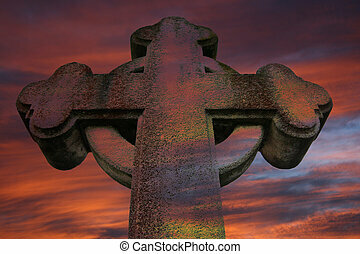 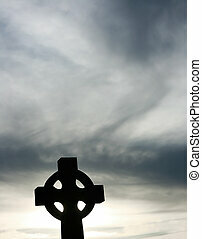 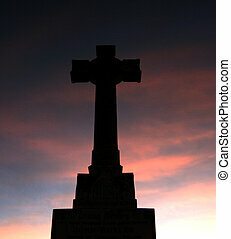 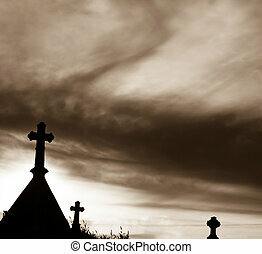 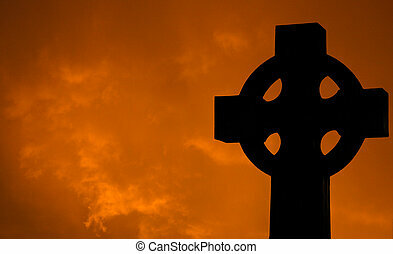 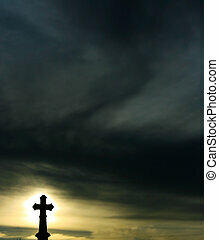 Stone cross with a sunset and clouds. 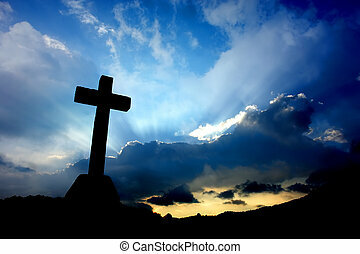 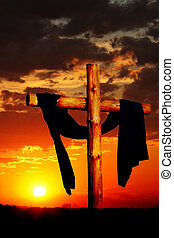 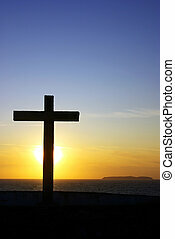 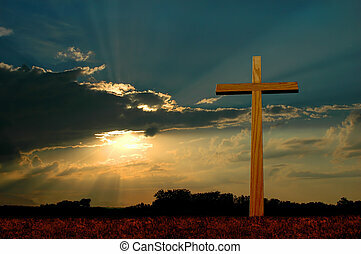 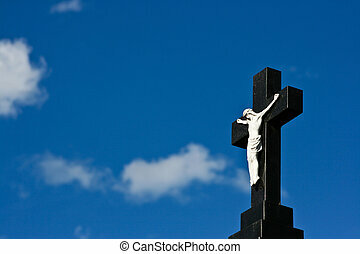 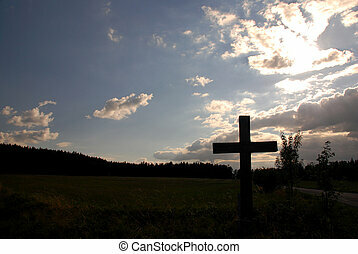 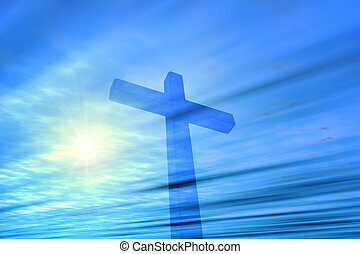 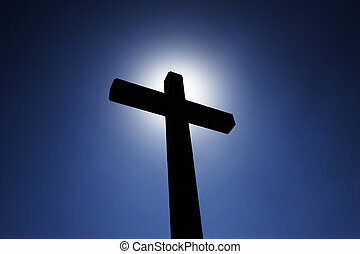 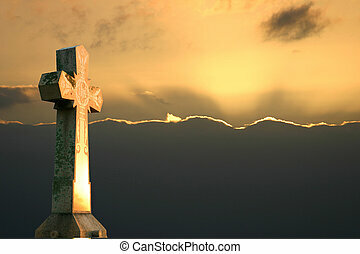 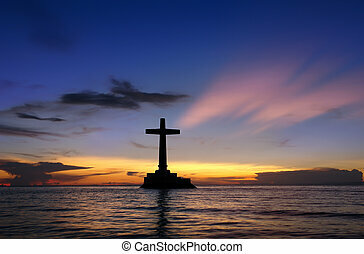 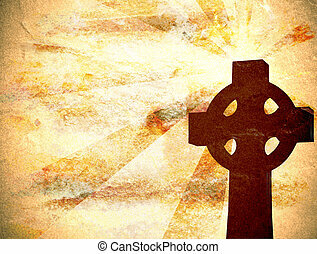 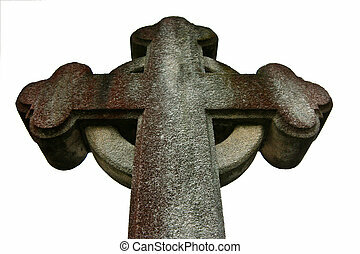 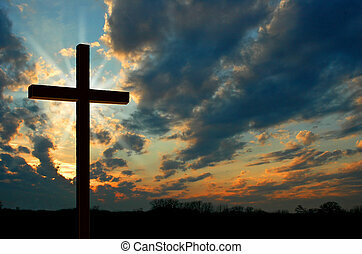 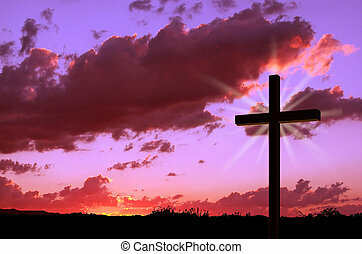 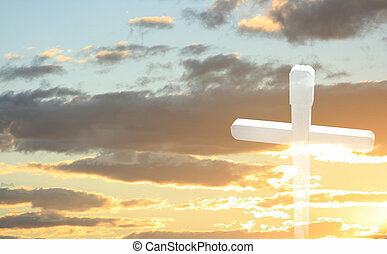 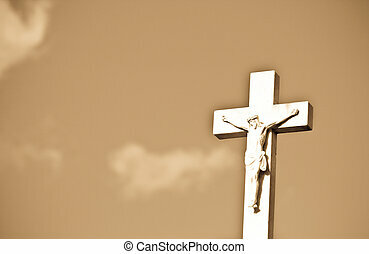 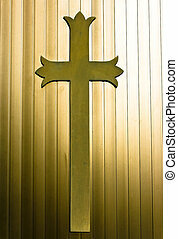 Cross of Christ to the Sunset. 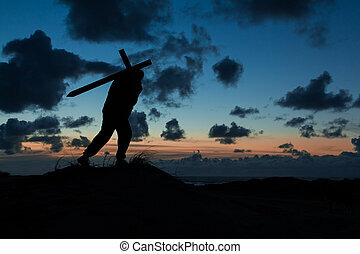 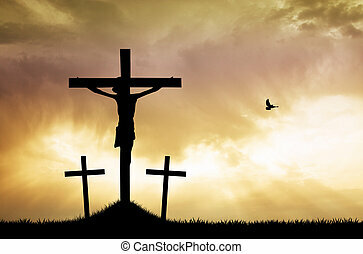 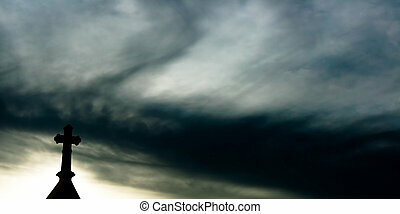 Man carrying a cross at dusk. 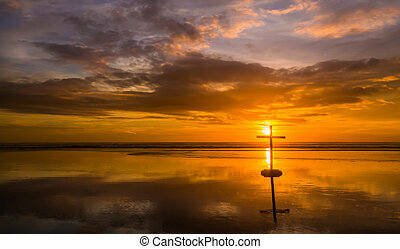 Wonderful reflection on a beach at sunset, with a cross.